When can I start the a SVT Course? What support will i get with my SVT course? SVT employ all of our assessors and they are based at our offices. You will be assigned one assessor/Tutor throughtout the duration of the course so you know who to deal with and build that important rapour. There is no limit to the support you can ask for. This is availble via phone, email and Skype. You will also be able to contact a course advisor and use our Website chat facility. Where are NVQ qualifiactions recognised? 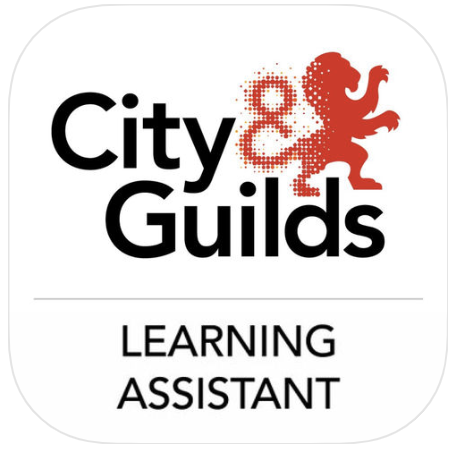 City and Guilds are internationally recognised as an insitution. They are heavily recognised in the UK, Europe, Middle East and Australisia. Will a Care Assessor visit my work place? Yes. Towards the end of your course your assessor will conduct an onsite observation at your work place to make sure you are putting in to practice what you have been studying. Can i combine 2 Qualifications? With certain qualifications you can combine them and recieve 2 certifications for each subject. Please contact us for more infomation. Yes of course please contact us as soon as possible. There is no charge. What if my company wishes to pay for my course? That is great! Please contact us with a PO or company credit card you will start within 24 working hours. You can pay by PayPal, Credit/Debit Card, Bank Transfer, Cheque, Western Union, Money Gram, Online and Purchase order number. Can i extend my course duration? If you find you are running out of time to complete your course we do offer course extensions. This means that you do not have to pay for the full course but a fee will apply. No. There are no requirements for you to attend our centre. You study online and interact with your Tutor/Assessor. Not with Vocational qualifications as they are competency based so you will provide evidence of what you do in the workplace which will then be assessed to see if you have achieved the required competency level. Who will see the work that I submit for my qualification? The assessment team at SVT and the External Verifier for the awarding body (C&G or ILM) will be the only people who need to see your evidence. We are registered with the Information Commissioners Office for data protection purposes and all evidence is stored securely. On the qualification Framework (RQF) the NVQ Level 5 shows as comparable to a Foundation degree. Is the NVQ 7 the equivalent to a Masters or Post Graduate degree? On the qualification Framework (RQF) the NVQ Level 7 shows as comparable to a Masters or Postgraduate degree. How do I achieve GradIOSH? This is for people who are working towards becoming Chartered Members. With our level 5 Health and Safety NVQ we include unit 611 so you are gauranteed GradIOSH status with IOSH on completion of the course. As a Graduate Member, you can use the letters GradIOSH after your name. All Graduates maintain a CPD record. Is there any recommendation incentive? At SVT we gain many new candidates from recommendations and to reward this we offer 10% up to £100 of payments made at the point of enrolment. How do i know SVT is accredited? We are registered with all the accreditation bodies we display. Please feel free to call them direct to check we are genuine. How long after Graduate Membership is it before candidates apply for the Open Book Assessment? Once candidates have achieved Graduate Membership it varies as to how soon they apply for the Open Book Assessment, some candidates felt they needed to do it immediately whilst it was still strong in their mind from reaching Graduate Status, whilst others waited up to six months before they applied for the Open Book Assessment. You may need to bear in mind when the next available intake is, as some candidates have had to wait up to six months for the next available one. You must complete unit 611 of the course to gain GradIOSH. How long do you have to complete the Open Book Assessment? Is this done online? The Open Book Assessment has to be completed within 14 days, this is done online and is split into two parts. With Part A you have 3 hours from logging on and Part B you have 7 days to complete. Other candidates who have been through the process have stated that although 14 days may seem a short period of time to answer the questions that once they have started answering the questions that the process was relatively straight forward, especially with the resources available on the IOSH Website. What’s the best way to prepare for it? To best prepare for the Assessment previous candidates felt it was best to use various methods of research. From feedback received it was said that one of the most useful pieces of research was looking at previous papers and past Examiners Reports, by doing this it gave candidates an idea of what the panel expected in terms of detailed answers and style of response. The IOSH Forum and other Forums available on the Internet offered a wide range of help to candidates. IOSH have IPD Guidance available on their website. Other sources of useful guidance was making sure you have access to relevant HSE Documentation, both online and hard copies. Are the questions like NEBOSH exam questions? The questions asked are very similar to NEBOSH exam questions, although the questions are much more in-depth. Previous candidates felt although the questions were harder to decipher, you researched in your own time and at your pace so this made the process a lot easier to follow. Once you have found out you were successful with the Open Book Assessment, how long was it before you are invited for your peer review? Once you had been successful with Open Book Assessment, you then have to ring up and book in for a Peer Review, this is generally done 4 to 6 weeks later. A note to bear in mind that you will need to ensure your CPD is up to date as you will not be able to have your Peer Review if your CPD does not pass their audit. What is it like being sat in front of the panel, are there any surprises? Previous candidates stated that being sat in front of the panel is nerve wracking or daunting, but the Panel tried to put you at ease and are very welcoming; remember they themselves have been through the process so know exactly how you feel. There are no surprises, you are provided with the criteria for the questioning and you know how long the session is going to take. If you are based in the Middle East the peer review is undertaken over ‘Bluejeans’, which is similar to Skype. How long did the interview last and when will you find out if you are successful? The interview will take on average 1 hour, although the majority of previous candidates completed theirs within 45 minutes. It takes on average 7 to 14 days to find out if you were successful, sometimes you will find that your ‘My Iosh’ Page is updated to CMIOSH before you receive your letter saying you were successful. Any top tips on achieving CMIOSH? Top tips on achieving CMIOSH from previous candidates include ‘be yourself’, the peers on the panel do not work for IOSH and were in the same boat as you at one time. Do lots of research and use various methods not just one source, take time to study and update your knowledge on relevant Health and Safety matters. Use real examples of your work, this demonstrates your experience and knowledge. What difference has it made once you have gained CMIOSH? NVQ L5 Diploma in Occupational Health and Safety Practice. This applies to learners who have signed up to the NEW L5 post Sept 2016. Q1. When can I start the assignment? to expect in the assignment and allows you to start gathering appropriate evidence. Q2. When do I complete the assignment? which for most candidates would be around 12 months. Q3. How long do I have to complete the unit? within your two years with SVT Ltd.
Q4. Can I attain Grad IOSH without completing unit 611? Q5. How do I know what to do? ensure you are ready and know what is expected. Q6. Is grammar and spelling important? your own practice and there should be clear evidence of reflection. Q7. Do I need to update my CPD? Q8. Is there a lot of writing to do? 3500 – 5000 words across 3 assignments plus a Personal Development Plan. Q9. Do I need to include evidence? Q10. Can I include diagrams, charts and tables in my responses? it is classed as a fail. Q12. Do I have to wait to get my Diploma Certificate until I have completed unit 611?